I.A.U. has signed new articulation agreement with the Egyptian Association for Development, Training and Further Learning (EADTFL) by which Egyptian students will benefit from IAU´s programs, courses and credentials. Prof. Dr.Tawfeek El Feel is a very reknown personality in Cairo restlessly trying to improve international education and culture. 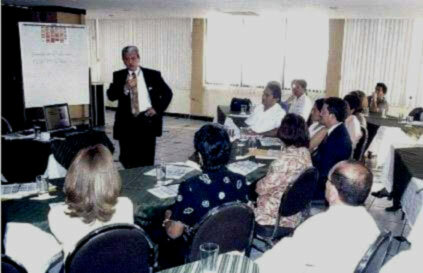 Dr. Jose Jaramillo, IAU Delegate for Latin America at a presentation in Equator, where a hospitality administration program is being put together. 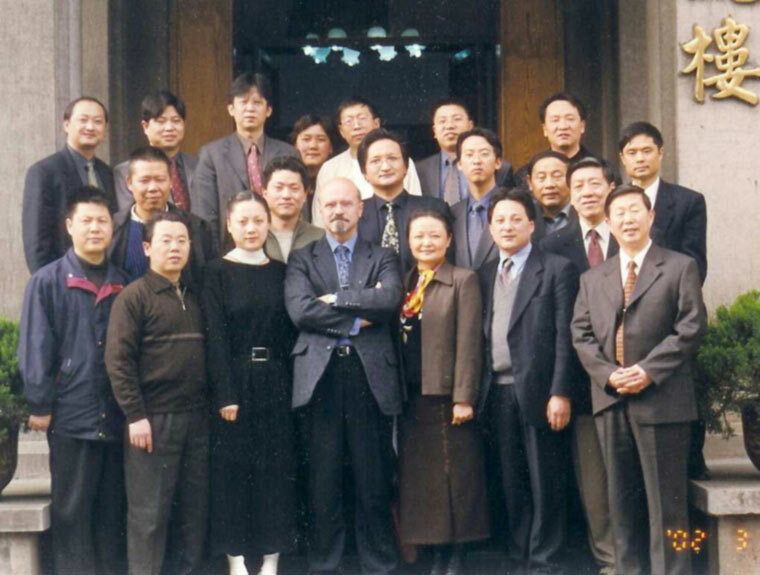 The University is extending its partnership with some of the top two universities in China. (Jia Tong University) (Beijing University for Science and Technology) The new partnerships agreement focus on two projects: a pilot scheme run by the International School of Languages to teach T.E.S.O.L. to future teachers of English; and the traditional programs of Psychology and Business Administration. A full articulation agreement has been signed up with the Benemerita Universidad Autónoma de Puebla, Mexico (www.buap.mx) by which there will be an exchange of students, faculty and technology. Leading American authors and poets were met in New York in March for the first Festival of American Literature to be staged in the city, sponsored by I.A.U.. Organized by the C.A.S., the literary journal 'Landmark' and InterAmerican University's Faculty of English, the two-day festival included readings of poetry and prose by leading American writers, wide-ranging papers on the current state of American writing, and panel discussions with authors and literary journal editors.